After e-platforms for health services, e-commerce is turning out to be the next big thing on the internet. And whenever we mention e-commerce, the first framework that comes to our mind is Magento. Today, we have compiled a list of top 5 essential plugins for Magento. According to reports, sales through online portals for goods and services have been on a rise as compared to every past year. More users are shifting towards accessing products and willing to experience online shopping through their smart phones, tablets and other devices that help avoid a visit to a physical store. As of now, there are over 200,000 businesses using Magento as their core platform to setup their storefronts online. If you already have your business setup with Magento as its back-end, you may want to add these 5 essential plugins to your system. There are times when users come on to your site and add items to the cart. But most of the times they checkout without clearing items in the cart. 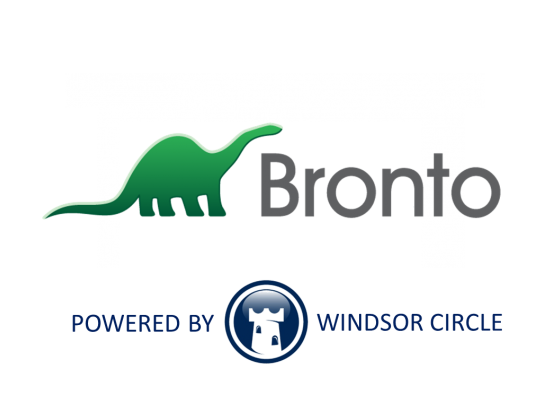 Bronto Magento Extension performs that vital role to bring back the users and remind them to clear their cart by placing an order for those items left. Customer support is as important as providing quality products and services to customer. 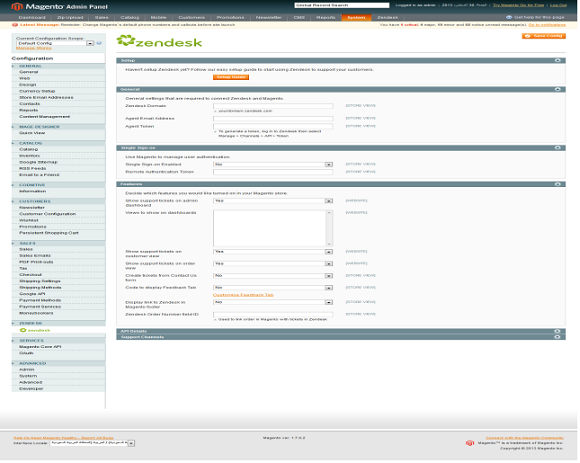 Zendesk Mangento extension is a useful plugin that allows you to manage your support requests and handle them well in time. Most of the online sales for a product depends upon the feedback provided by other customers in general. 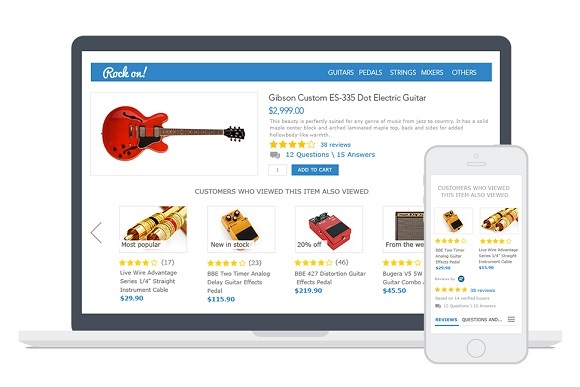 Potential online customers mostly based their purchase decision on the type of feedback and comments given to any product. If your product catalogue does not have a section for user feedback and comments, you may want to download Yotpo Extension for Mangento. So as they say – it is the social age. Most of the sites avoid users the hassle of signing up through the site. Instead help them create accounts by simply logging in through their social media accounts including Facebook, Google+ or Twitter accounts. Social Login Plugin for Magento is a great tool to ease the signup process for your portal. 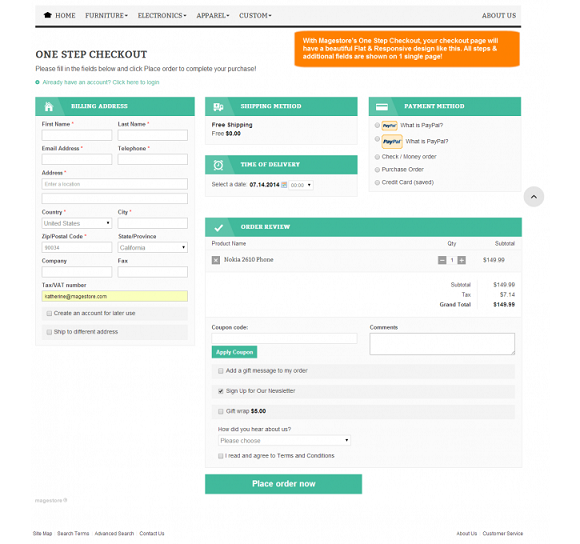 On top of our list for 5 best essential plugins for Magento is the One Step Checkout Extension. It allows users to simply sign-in the store and fill their cart through one-click. The extension works best when users have already entered their payment details. Once they have done that, the entire transaction takes a second to be carried. There might be more useful Magento extensions that allow you to enhance your store’s experience and increase online sales. If you know of any such, please feel free to share them with us.